Big Money: In bust-out world (which means the real world), chief executives pump up their share price and dump as much of it as they can on the market before everyone else has figured out better. Investment banks pocket fees for underwriting bonds and then dump the losers on their captive investment funds. And what’s left after it’s done, by the time the market exacts its price, is the burnt shell from which every possible profit has been extracted. You have to pay attention to who is really calling the shots and where the money lies. You can’t look at the profits (or losses) of a subprime lender without also looking at the fees taken in by the investment banks that packaged the loans into bonds. You can’t look at what happened. You can’t look at a lender without also looking at the incentives paid to brokers to peddle junk mortgages. The problem is, as Gimein points out, regulators haven’t yet caught on. 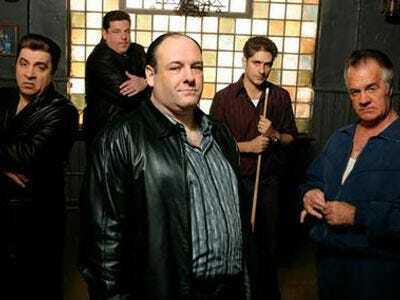 Maybe they should watch the Sopranos.